It's all about the crows now. They seem to follow me and call to me wherever I go. 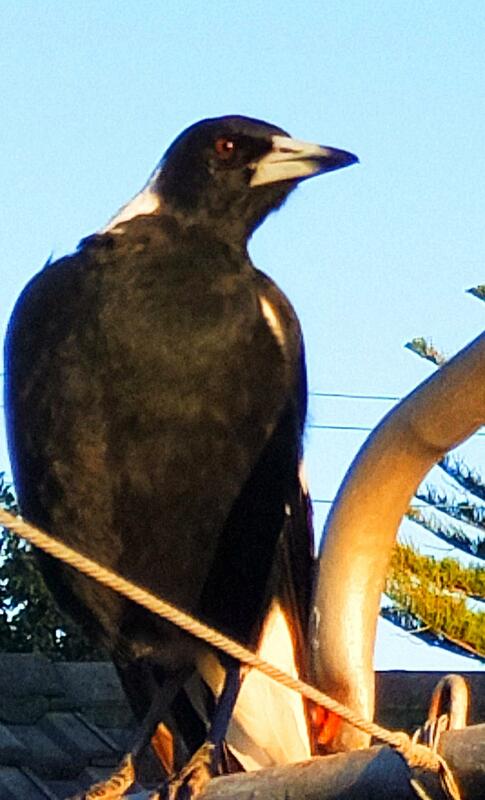 I've had increasingly more young magpies come to visit they just sit around the yard or hunt the giant crickets and other bugs through my cacti and gardens , real friendly and completely un afraid . Also a beautiful little kookaburra likes to sit either under the swingset or on the swings themselves sat outside and watched him while he watched me a couple weeks ago, can see the real intelligence in its eyes .